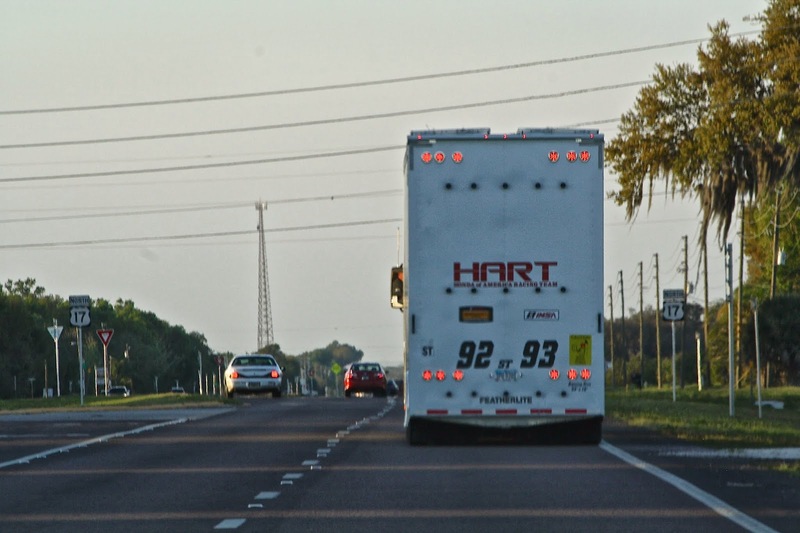 HART returned to sunny Florida for the second race of the 2014 season. This time, the team traveled to the oldest sports-car track in the US, Sebring International Raceway. Sebring is known not only for its history, but for its surface. The circuit is made up of both asphalt and concrete, with most of it being original. Over the years, the surface has seen better days, but its bumps and cracks – coupled with the high speeds – create some of the most challenging corners of any track in the world. If you can make your car go fast and last at Sebring, it will work anywhere. This would be the first time for many of the HART members to visit Sebring. It would also be the first time for three of the team’s four drivers to run there. The team arrived at the track early in the week to take advantage of a test day. After lengthy repairs from damage incurred at the previous race the cars were ready to hit the track (or, so they thought). Cars 92 and 93 rolled onto the track for the first of two one-hour test sessions, only to be cut short after only two laps, when the 93 car started smoking! Chad Gilsinger was behind the wheel as the cabin started filling with smoke. He managed to get the car back to the pits just as a fire broke out beneath the car. Luckily, the crew and on-site fire department was ready and were able to extinguish the fire before any major damage occurred. The cause ended up being a drain plug that had worked loose and was spraying oil on the exhaust. This oil also got on the track, and the session was cut short as cleanup was necessary. The cars would be ready for the final test session, however, and both cars ran flawlessly, giving the drivers valuable seat time and the crew data to help plan for the upcoming event. On Wednesday, the IMSA event sessions would officially begin, and the team prepared for two one-hour practice sessions. The goal was to try chassis settings that would work with the bumpy conditions, but still give the car good control and tire wear. HART knew it could make the car go fast but could it keep a consistent pace lap after lap? The advantage of having two identical cars is that you can try multiple changes at once. HART tried different combinations on both #92 and #93 to see what worked best. Throughout the test, the cars were typically in the top five, so the key focus was longevity. The team needed to control its tire management against the lighter-weight and better-balanced Mazda MX-5. At the close of practice, HART was confident it had made improvements, but would it be enough? Directionally, HART was on the right track, so the team made even more changes for qualifying. Normally, the team does not make these types of changes for qualifying, but it wanted to use this time to get more data. On Thursday, the only activity for the team would be a 15-minute qualifying session. Steve Eich would qualify the #92 car and Chad Gilsinger would qualify the #93 car. The two cars took the track at the back of the field to make sure they could get a gap and have clear track ahead of them. The Sebring surface is very hard on tires with little grip, so it would be important to get a good lap early when the tire was at its optimum. Gilsinger jumped to the pole quickly on his first flying lap, but soon was knocked back to second. Eich was struggling with the setup chosen for #92 but still managed to better his time for the weekend. Unfortunately, it was only good for 22nd spot on the grid. 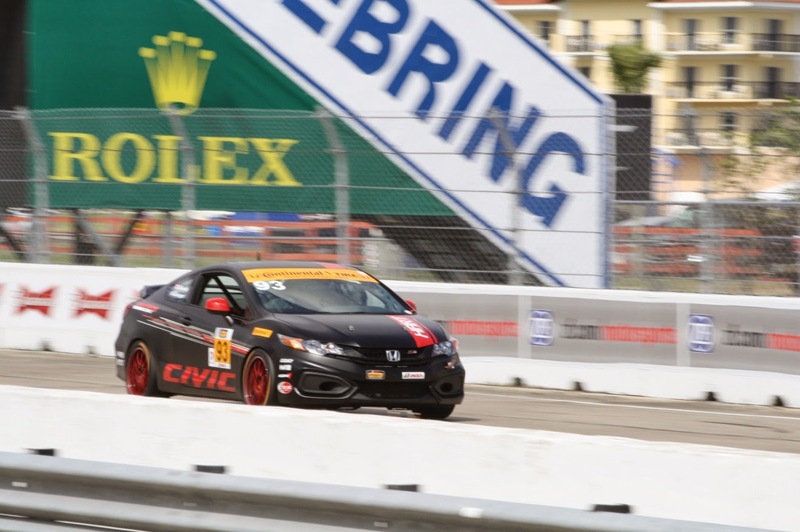 After the post-tech qualifying results were released, Gilsinger had hopped back up to the pole position when the CJ Wilson Mazda MX-5 was disqualified for a rule infraction. This also handed the new track qualifying record to Gilsinger. Heading into race day the team had high hopes. Throughout the evening, the team worked hard to get the cars ready while also updating the #92 chassis settings to match #93. Gilsinger was able to put in the best time of the week in qualifying, as the chassis changes showed even more improvement. Race Day brought beautiful weather and a sunny sky. The goal for #92 was to benefit from the chassis improvements and move through the field, while the goal for #93 was to focus on tire and brake management and keep the car in the top five. As the green flag flew, both cars did exactly what they were supposed to. Steve Eich had a great start and by the time he would pit, had already moved near the top 10 in position. Gilsinger got a good jump on the field and was able to lead many of the opening laps. He managed to stay in the top five approaching the halfway point. In a rare occurrence, there would be no yellows in the first half of the race. The team decided to pit the cars under green conditions to gain needed track position if /when a yellow would occur. The #92 car would pit first, with Kevin Boehm taking over driving duties. Shortly afterward, crew chief Andrew Salzano made the call for Gilsinger to pit. As Gilsinger approached the final corner before the pits (bumpy turn 17) the car suddenly lost drive force. Chad was able to coast the car to the pit box but #93 was now in big trouble. 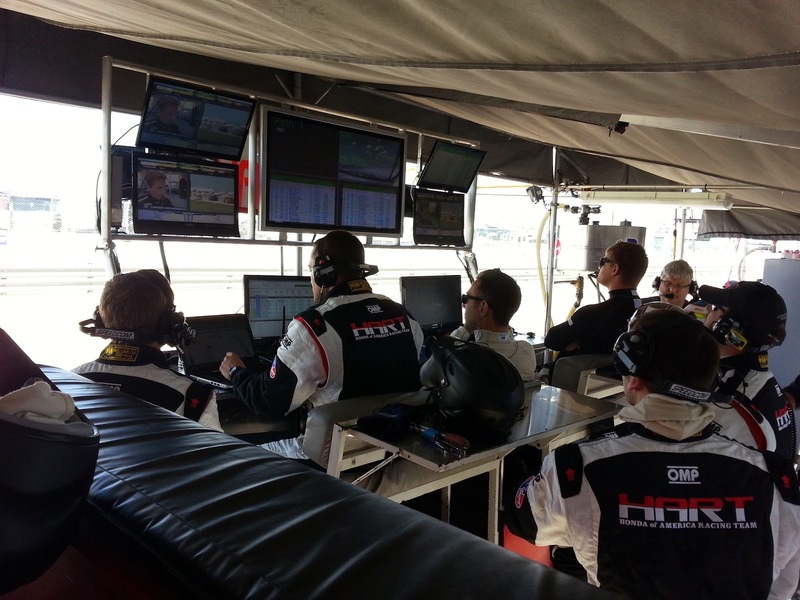 The team did not panic, completed the pit stop, and assessed the concern. It turned out that the outer drive-shaft joint had broken off the shaft. The team went to work and was able to replace the drive shaft in about 10 minutes. The crew did a great job to get the car back on track, but unfortunately the #93 car was now four laps down. All hope was now on the #92 car of Boehm. Boehm ran consistent times and started picking off cars one by one, moving into the top 10 by the checkered flag. A violent late-race crash involving other competitors ended Boehm’s run towards the front, as the last 20-30 minutes of the race were run under caution. Boehm was able to land in ninth position as the final results came out. The next event will be at Laguna Seca, May 2-3. Special thanks to all our Sponsors/Partners. We would like to welcome RAYS WHEELS to the list, for providing us with new forged wheels that are lightweight and help improve our pit-stop times!